During subsequent startups, Softimage just reads in the cachedat, which takes a lot less time (eg < 0.005 seconds). One cache is read at startup. The other is updated when you first drag an ICE node into an ICE tree (and then if you start a new XSI.exe session and drag the same node into an ICE tree, Softimage will read from the cache). Running strings on these cache files showed lots of ICE node/compound names, so they seem to be strictly for some sort of ICE-node caching (eg ports, layouts, logic, …). The other day, I noticed that the Maya Help was using Chrome instead of my default browser (currently IE). I didn’t see anything in the docs about specifying a specific browser, so I figured it must be something about my system. So, like I often do, I fired up Process Monitor to see if I could figure out why. And it was pretty simple. even though my default browser was IE. Here’s a video walk through that shows how Process Monitor can be used to diagnose and troubleshoot this kind of problem. In this video, I take a look at what to look for in a Process Monitor log from a satellite rendering computer. If you don’t see what I’m showing, then the master is not connecting to the satellite. On the satellite machine, download Process Monitor. 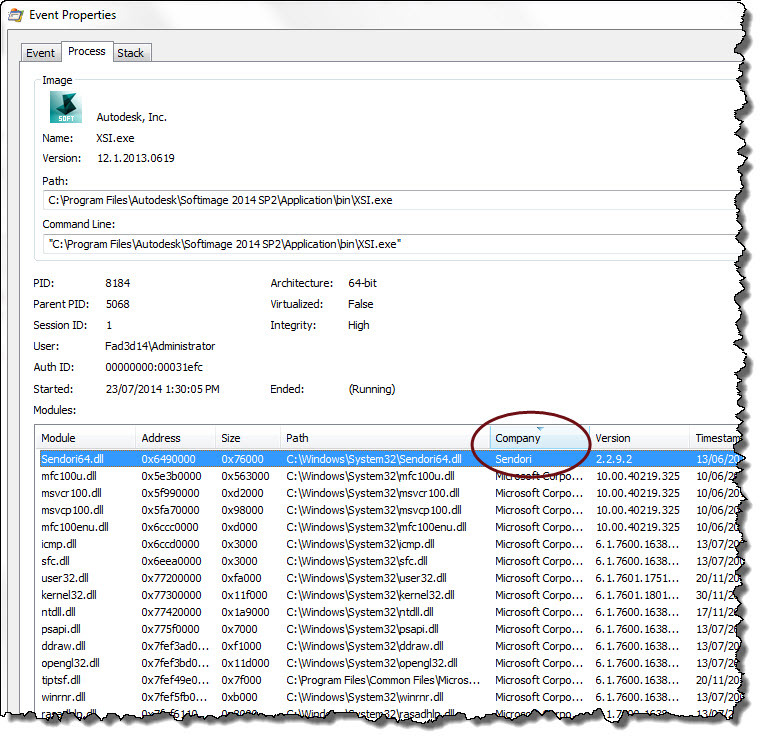 Extract Process Monitor from the downloaded file, and start procmon.exe. On the master machine, start Softimage. The master connects to the satellite at startup. After Softimage starts up on the master machine, go back to the satellite machine and stop capturing events in Process Monitor. Review the Process Monitor log (see the video for more info).